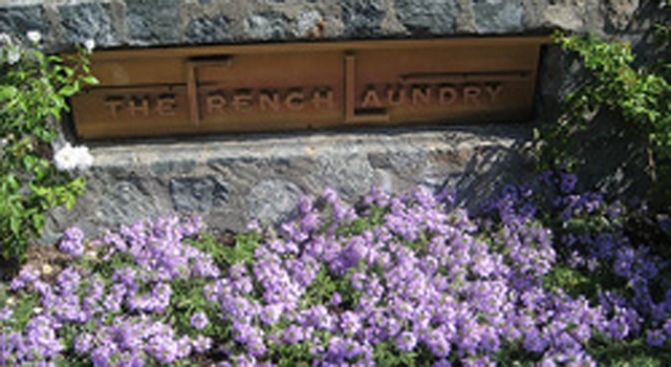 The French Laundry is not about to go a la carte anytime soon. Kellerville: The big news out of New York yesterday was the ground-shaking news that Thomas Keller's East Coast gastronomic temple, Per Se, is currently considering launching an a la carte menu in its salon and bar area. The shift—which, suffice to say, would be a seismic one—isn't confirmed yet, but New Yorkers are definitely up in a tizzy about it. But if you think that maybe, just maybe the French Laundry might follow in Per Se's footsteps and you might be able to slip into the food mecca for less than the $240 tasting menu, you would be incorrect. According to Team Keller, given the limited size of the restaurant (and its salon, which is reserved for guests waiting to be seated), a separate menu simply isn't an option like it is at Per Se. The universe isn't imploding quite yet.